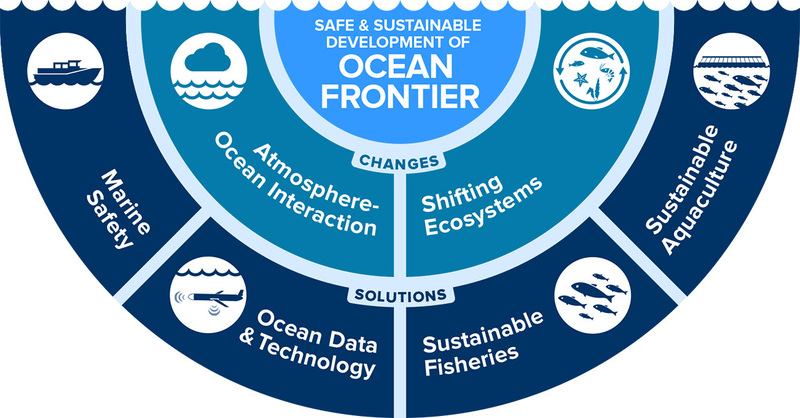 The Ocean Frontier Institute (OFI) was established in September 2016 through a partnership led by Dalhousie University, Memorial University and the University of Prince Edward Island. 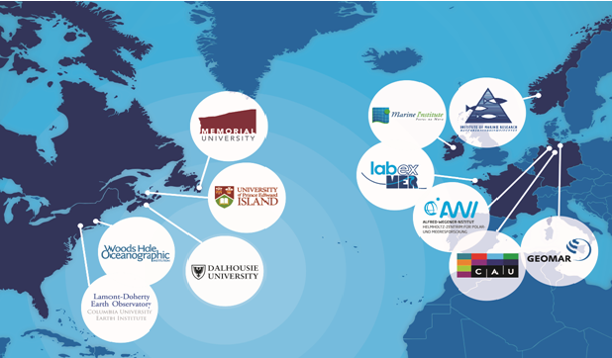 An international hub for ocean research, OFI brings together experts from both sides of the North Atlantic to explore the vast potential of the ocean. transform how we monitor the ocean with new data capture and IT tools. OFI research focuses on the North Atlantic and Canadian Arctic Gateway, which includes the Labrador Sea and eastern portions of the straits of the Canadian Arctic Archipelago. The region's unique physical, chemical and biological processes make it an epicentre of international scientific interest and a predictor for the global ocean. Its deep overturning circulation results in the most intense carbon sequestration on the planet. It has a highly productive marine ecosystem and air-sea interactions that modulate the weather and climate of North America and Europe. Diminished ice cover has increased shipping in the Canadian Arctic, raising sovereignty, security, social and environmental issues. In Canada: 300,000 jobs and $6.6 billion in seafood exports per year.